With her own health issues and three children to raise, Caroline Roesch depends on social service programs to stay afloat. 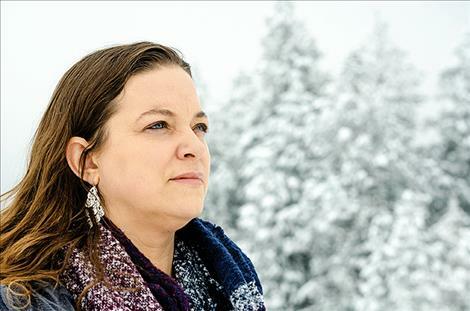 Caroline Roesch is a single mother with three children living near the Mission Mountain Range in Lake County, and for her, social service programs were there to help keep food on the table when she needed the assistance. Roesch was a teacher in Utah’s public school system for about a decade when health issues caused her to move closer to family in Montana. “It was my dream to be a teacher and I couldn’t do it,” she said. Her father helped her get a used mobile home, and she signed up for several social service programs. Something is always going wrong though, like her car breaking down and the water pipes freezing up under her home. She deals with the stigma that comes with asking for help. “I feel a lot of guilt and shame because I wasn’t strong enough to continue living my dream career, and it feels really depressing when I think about it, but I have to tell myself that I paid into the system when I was working, and it’s there for (the) many people who need it,” she said. 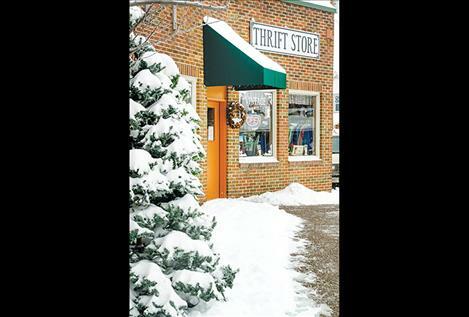 Lake County, with a population of 28,758, has a poverty rate of around 21 percent, which is one of the higher poverty rates in the state. The national poverty rate is at 13 percent. A family of four needs to make $30,750 to rise above the poverty line. Lake County also has a historically low per-capita income average of around $22,000. Per-capita income is the amount of income earned divided by the number of people living in a home. What is the solution to poverty in rural towns where higher paying jobs are often scarce, transportation can be a challenge, and affordable housing is limited? Social service programs are often the answer. Federal, state and local programs provide a safety net to help people survive. Their focus is on food, housing, transportation, and education. The Institute for Research on Poverty looked at the effectiveness of anti-poverty programs in the United States and found that they do have an impact on reducing poverty and keeping people from falling into “deep poverty” rates. The institute reports that the elderly and the disabled receive the greatest benefit from programs. Single-parent families also see a reduction in poverty due to the programs. The National Advisory Committee On Rural Health and Human Services analyzed the intersection of federal human service programs and rural poverty. The number of high poverty counties in the United States (those experiencing rates greater than 20 percent) has grown in the last decade. The National Advisory Committee explored what practices might help people gain access to services and support people in poverty. They concluded that rural communities need “anchor” organizations to create a unified safety net for programs utilized by people with low incomes. Roesch hopes this will one day happen in her community. The National Advisory Committee states that social services for people (the elderly, children, and at-risk families) in rural areas across the country are often made up of a patchwork of programs and funding streams with a mix of federal, state and local services often combined with philanthropic and faith-based programs. Creating one central office for people to locate all of the programs would be helpful for people in need. George Haynes, an economist with the Montana State University Extension Office, says poverty is a difficult problem to fix. According to Haynes, the “fix” requires a multidimensional approach with access to resources many rural towns lack, including higher-paying jobs, access to transportation and housing infrastructure. He said the most obvious way to bring people out of poverty is to increase their capital. He noted that the idea of a living wage is the newest solution being talked about across the country. Depending on where people are living, the plan works by giving people a living wage of around $15 an hour. This wage helps them afford the high cost of living. One organization based out of Ronan is part of a multidimensional approach focused on helping people with disabilities survive on low incomes and avoid deep poverty. 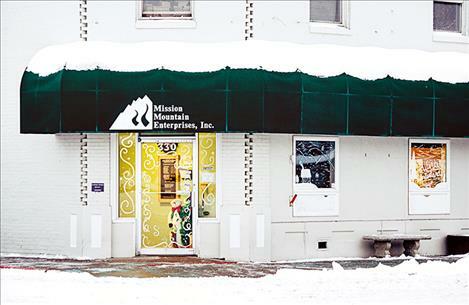 Mission Mountain Enterprises was created in Lake County more than four decades ago to serve people with intellectual and cognitive impairments by providing needed services such as jobs at one of their two thrift shops and/or housing assistance. The program relies almost completely on state funding. There are several similar programs set up across the state. Whitney Cantlon is MME’s chief executive officer and she says the program helps people, but several challenges still exist. She said lack of transportation and other issues in rural Lake County make it difficult for people with disabilities to get to work, travel for medical services, and get to other programs. Government programs also limit the amount of money people with disabilities can make. The Montana Department of Public Health and Human Services is trying to make it easier for people with disabilities that began before the age of 26, to save for the future without impacting their ability to apply for assistance. The program allows people to have a savings account called Achieving a Better Life Experience (ABLE). In a perfect world, she said there would be enough funding to help provide services for people who need it. Unfortunately, the state’s current budget cuts have trickled down to social services and people still need help. Cantlon said the county is facing problems that affect everyone including a lack of transportation services, lack of affordable housing, limited higher paying jobs, and smaller budgets for social services. But, she added, there is a bright side.